The perfect time to have a declutter, spring is ideal for having that clear out you keep saying you need to have. Energy and happiness boosting, having a declutter can work wonders on the mind as well as the home. 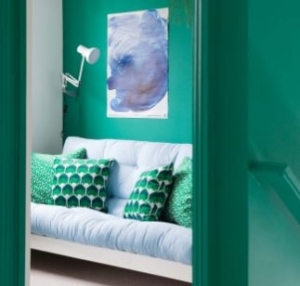 Jill Macnair of The Chromologist is used to spotting aspects of people’s homes she wishes she could recreate in her own. Here are 5 that she shared with us all last month. 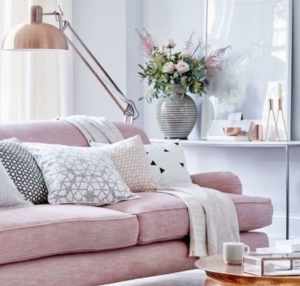 Even the most practical of sofas can benefit from an update to give the whole room a new look. 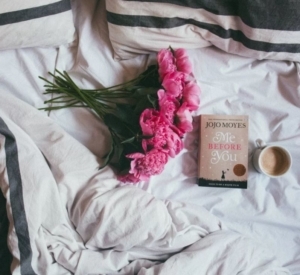 From switching up your pillows to even dip-dying the cover, this is a must read. Cottages are always a sought after home choice and have a unique warmth and character. 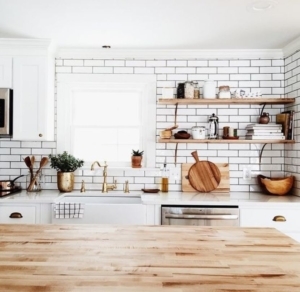 Even if you aren’t fortunate enough to have your own cottage, there are still ways you can replicate the look. 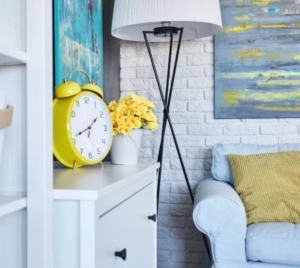 There is so much design inspiration out there that it can be easy to create a stylish look in the home but how do you ensure it still feels homely? Find out how here. White is a fantastic colour for spring and has the power to add light and freshness to any space. 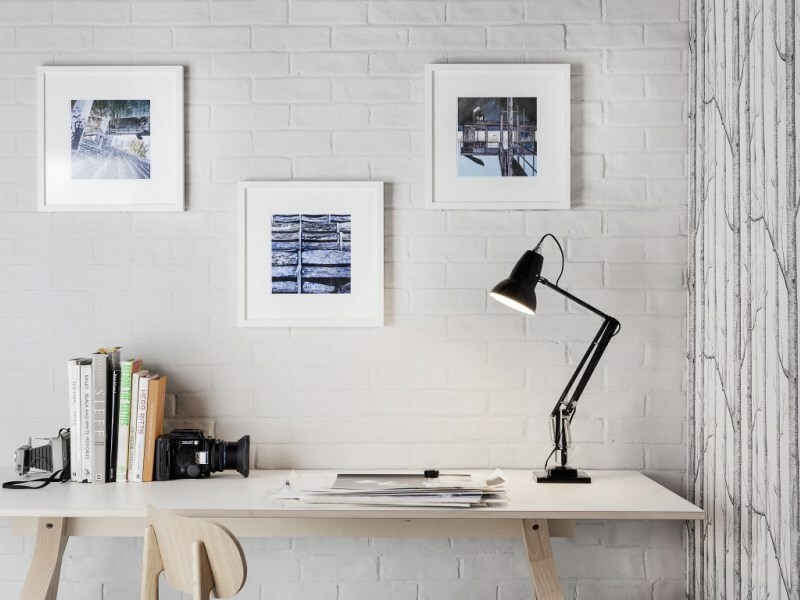 These inspiring photos will have you dashing out for the white paint in no time. Beautifully restored, this Cuban Hacienda style home was once a famed hoteleier’s retreat which had fallen into disrepair. 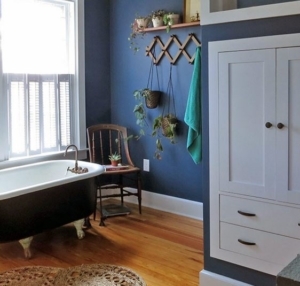 Take a look at the couple’s home transformation. 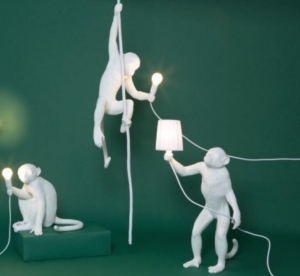 Seletti is one of quirkiest homeware brands out there and we can’t get enough of their monkey lamps. 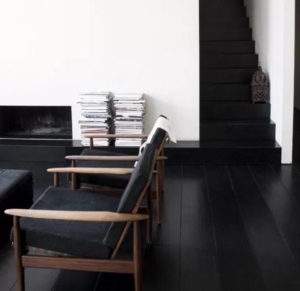 The LuxPad delves into the brand’s stylish collections. 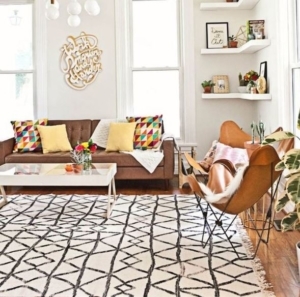 Many trends are fads which will pass as soon as they have arrived, so how do you distinguish fads from lasting design…A Beautiful Space shows you how. 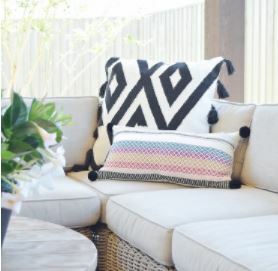 Tassels and fringes are all the rage at the moment in both the fashion and interiors world. 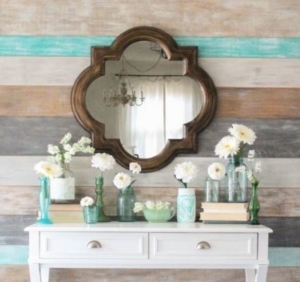 Z Designs at Home shows you how to add these summery accessories to your interiors. 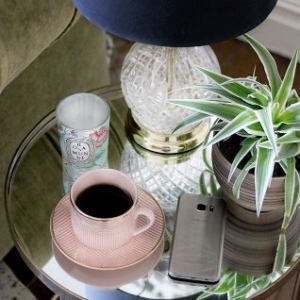 We love a side table just as much as Kimberly of Swoon Worthy so we loved this post on how to style them in all different rooms. 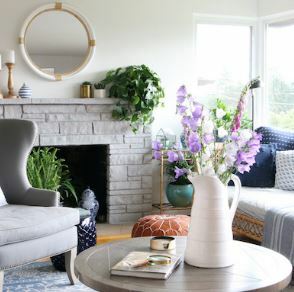 This post on Lazy Daisy Jones demonstrates how just one simple accessory can transform any room and showed us just how important mirror are to interior design. 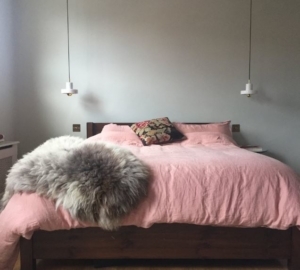 We’ve always said that good design can has well-being boosting benefits and this post on My Unique Home shows you how to take full advantage of this idea starting with the bedroom. 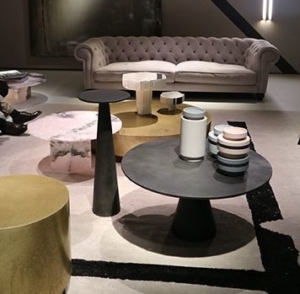 The 2 Lovely Gays were at their favourite design festival in April and spoiled us with the tour of Milan Design Week afterwards. We are already booking our tickets for next year! 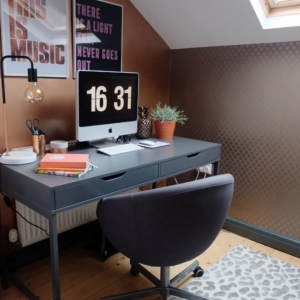 Home office reveals are always one of our favourite blog posts to read as we love hearing that bloggers have overhauled their offices to help their production and creativity. This is our favourite from last month. Moving into a new home always brings with it a host of problems, many of which are unexpected. Little House on the Corner documents the unusual problems they have encountered just two weeks in. 19. Simple Spring Decorating – Lovely etc. Image courtesy of Lovely etc. 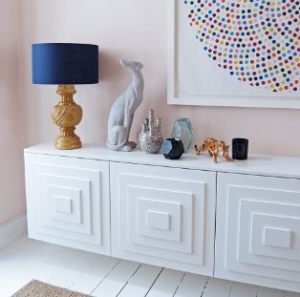 We have all heard of those steadfast interior rules that are still followed today but rules are there to be broken as Emily from The Pink House showed us last month. 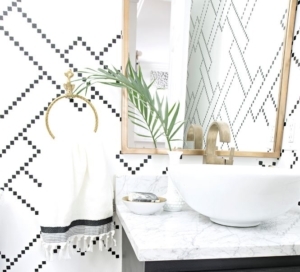 We simply adore the mirror in this monochrome bathroom on Cuckoo 4 Design. A wonderfully glamorous touch, it perfectly finishes the space. 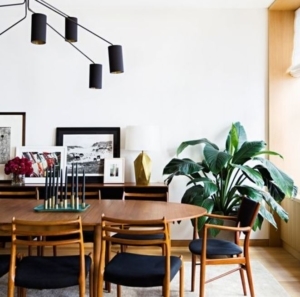 Mid-Century Modern Design is a fabulous look in any room but is particularly stunning in the dining room thanks to its dramatic feel. Here’s some of the best inspiration we’ve seen on style. 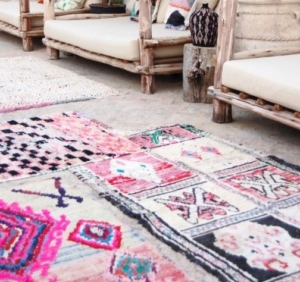 A well-made Moroccan rug will never go out of style and in this post, Decor Envy explore the three main types and which is best for your home. Jess of Gold is a Neutral revealed some of her own home in this post from April. 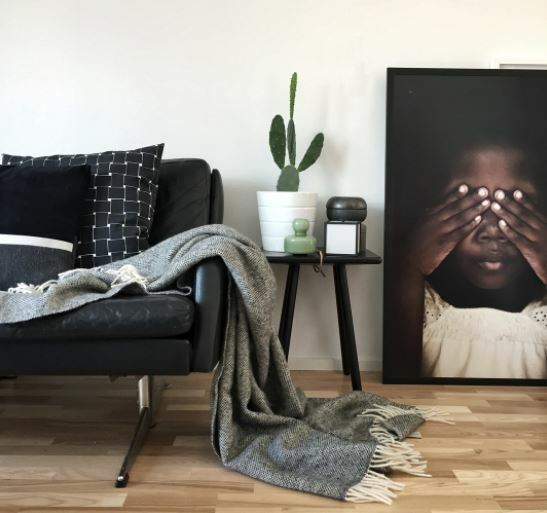 Including all of the family’s bedrooms and the living room, it’s nothing short of what we would expect from the beautiful blog! 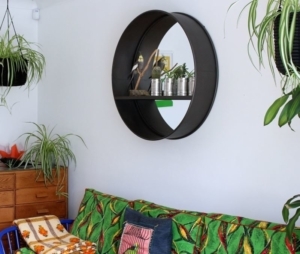 Often our interior design dreams can be very far from our price range but as French for Pineapple proves, a bit of DIY can achieve nearly anything! This ultra-glam stepped sideboard oozes glamour and looks like something straight out of a Jonathan Adler lifestyle shot. 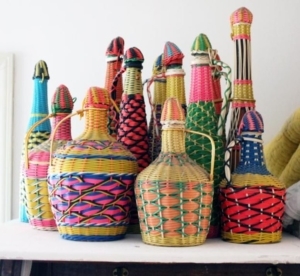 What a lovely round-up of posts, thank you for including mine in there too! Cool! Thanks for sharing these articles. I now have a list of good stuff to read. Btw I was wondering,, how do you select and feature interior design posts? Thank you for your comment and I’m glad you like our posts. The IBA team always try to keep up to date with all of the interior blogs we are aware of across the world and if one of the team spots a blog post they love we make note of it to include in our roundups. We always love to hear about new interior blogs so if you haven’t already please sign up to our newsletter on the IBA website and we also have a dedicated newsletter for the IBA Blog which share our tips & advice posts to help you grow your blog. We hope to see you involved in this year’s awards!